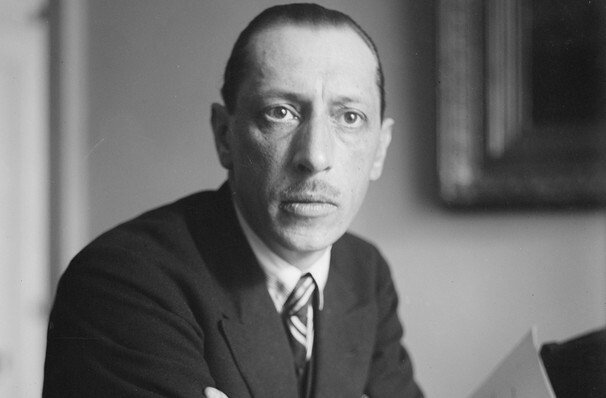 Why See Los Angeles Philharmonic - All Stravinsky? The Los Angeles Philharmonic continues its Chamber Music 2 Series with a rousing all Stravinsky program this Spring! Widely acknowledged as one of the most influential composers of the 20th century, the Russian-born classical music icon is perhaps best known for his soaring concert works for ballet The Firebird, Petrushka and The Rite Of Spring, but his masterful ear for melody, exciting folk-tinged rhythms and lush orchestral writing are equally as evident in his works for smaller ensembles. Interestingly, the program starts and begins with The Soldier's Tale, a theatrical piece for a septet comprised of the violin, double bass, clarinet, bassoon, cornet, trombone and percussion. First performed in Switzerland in 1918, it illustrates 'The Runaway Soldier and the Devil', the old Russian folk tale about a soldier who sells his magic violin to Lucifer in exchange for monetary wealth. The deeply witty chamber work is rich in drama, tension and angular, jazz-infused melodies, as well as notoriously difficult time signature changes that give way to moments of ecstatic clarity and simplicity. Sound good to you? 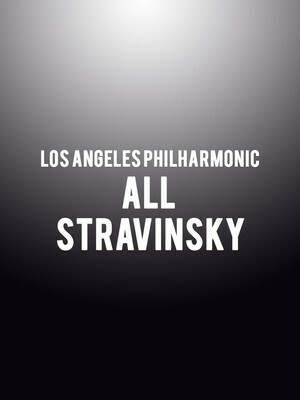 Share this page on social media and let your friends know about Los Angeles Philharmonic - All Stravinsky at Walt Disney Concert Hall. Please note: The term Walt Disney Concert Hall and/or Los Angeles Philharmonic - All Stravinsky as well as all associated graphics, logos, and/or other trademarks, tradenames or copyrights are the property of the Walt Disney Concert Hall and/or Los Angeles Philharmonic - All Stravinsky and are used herein for factual descriptive purposes only. We are in no way associated with or authorized by the Walt Disney Concert Hall and/or Los Angeles Philharmonic - All Stravinsky and neither that entity nor any of its affiliates have licensed or endorsed us to sell tickets, goods and or services in conjunction with their events.